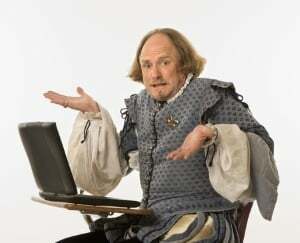 As Shakespeare famously never said, “To host or not to host, that is the question.” In today’s evolving IT landscape, many companies are faced with this query when discussing IT strategy. New JDA projects, upgrade paths, and yearly budget reviews are just a few scenarios where hosting strategy finds a soapbox within IT departments around the world. Operational leadership often asks IT to remain cost effective, reliable, and sustainable while also requiring a certain degree of agility and cutting edge technology. Sounds like a simple request right? And did I mention cost effective? Business Focus – Shifting the responsibility to a dedicated hosting house allows companies to place more focus on core competencies that drive revenue. I suspect that most data closets, while essential to keeping a business running, make little contribution to the top line. So why not divert the responsibility of hosting to an outsourced partner in order to better focus on work streams that generate revenue? After all, the point of outsourcing is to let the experts complement your business so that you can focus on your own strengths. Improved Service Level Agreements – Can you guarantee 99% or better uptime today? This is something that many outsourced hosting solution providers can offer. Common practices such as server redundancy and failover plans provide SLAs that build confidence in customers. Seeing how supply chains run 24/7, why should a solution offering differ? Improved Total cost of ownership – Who doesn’t love depreciation costs and obsolete hardware? How about when an application upgrade path requires an entirely new platform resulting in additional hardware? With an outsourced hosting solution these obstacles become a thing of the past. You pay a rate for a service and assume none of the assets. Instead, you rely on the hosting provider to offer the required hardware and operating systems to meet your application needs. Agility – Customer loss/gain is a reality in the supply chain world. Short lead times and eleventh hour contracts can be a challenge when trying to bring up or tear down a solution. Improved hosting scalability allows for the business to react quicker to changing requirements. Hosting providers typically have the latest technology offering in terms of VMware and can apply resource changes in a manner of minutes as opposed to hours, days, or worse.